"Its very quick response staff, clean and good food"
Have a question for PARKROYAL On Pickering? "Overall a wonderful shorcation with family ." "Bright and spacious well appointed room." 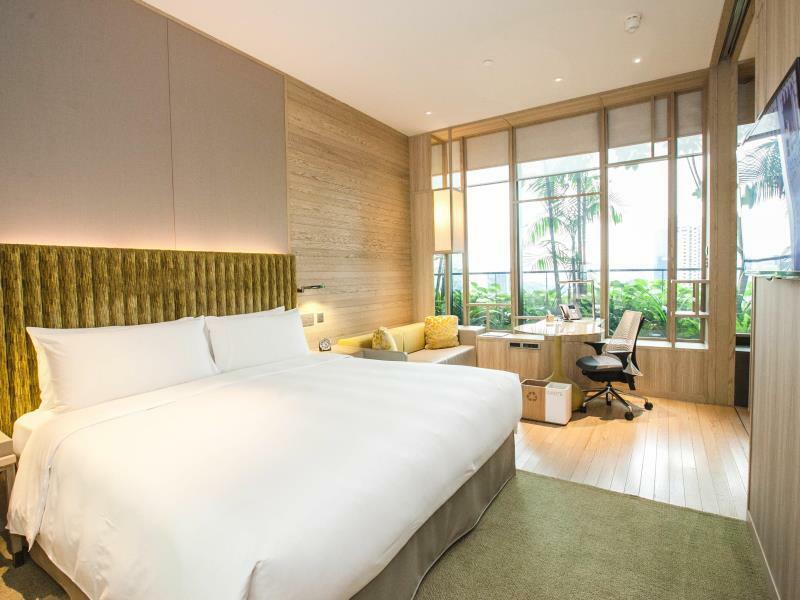 "Loved the room it was spacious, clean, with a spectacular vi..."
When visiting Singapore and surrounding areas, you'll enjoy your stay at the pampering and relaxing the PARKROYAL On Pickering. The rooms at this property have park, city, and garden views, so you are bound to be peeking out at memorable scenery. The property is near Singapore Handicraft Centre, Thong Chai Medical Institution, Chop Wah On, China Square Central Flea Market, and People's Park Centre Money. 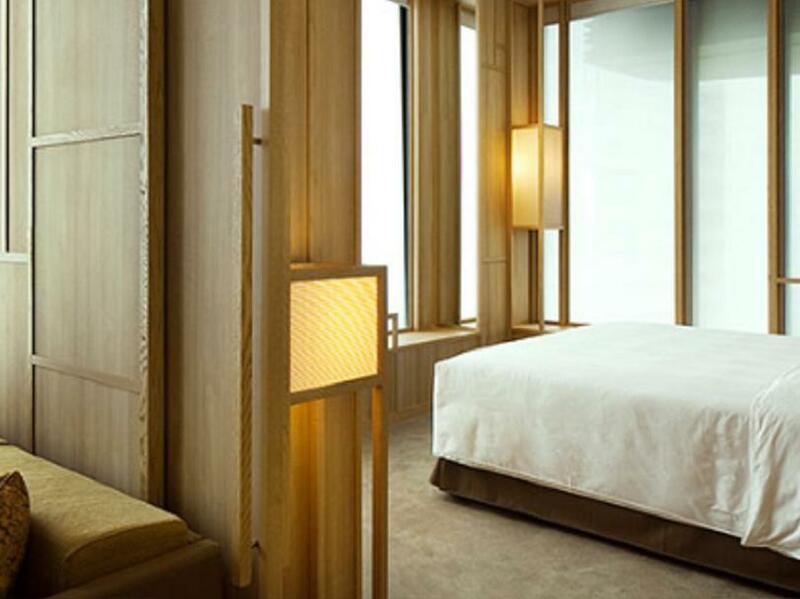 It has various convenient features, such as a currency exchange, a smoking area, as well as safety deposit boxes. From a bar to restaurants on-site, it features an assortment of dining and snacking options. For ultimate relaxation, you can take a break from your other activities and pamper yourself for a few hours with a massage. With a kids club, the PARKROYAL On Pickering offers parents a fun and safe childcare resource. This property has a fitness center, a garden, a sauna, and an outdoor swimming pool among other great facilities. There's free Wi-Fi in all rooms, as well as Wi-Fi in common areas, so you don't have to worry about a local sim card while on vacation. 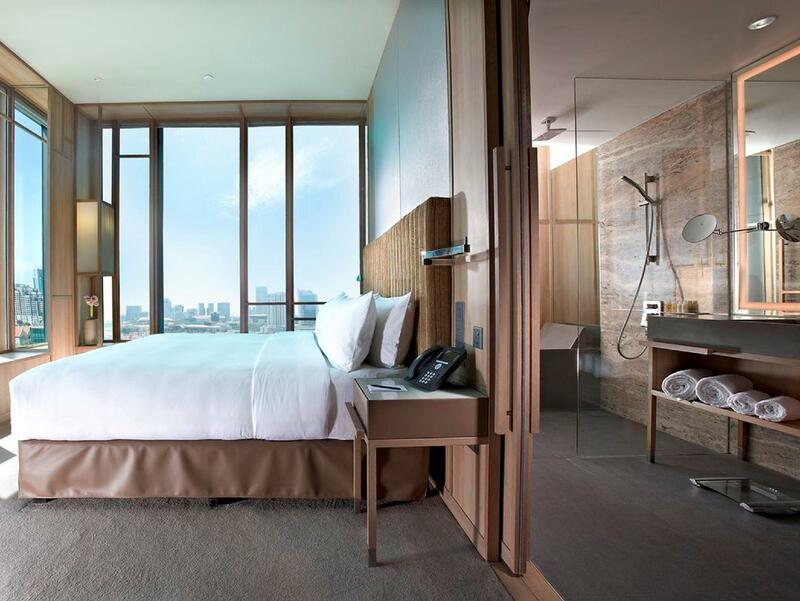 From a concierge to daily housekeeping, the PARKROYAL On Pickering has various useful services, ensuring that you get the most out of your time in Singapore. This property has air conditioning, a hair dryer, satellite or cable channels, and bathrobes, as well as an in-room safe box, a shower, a desk, and free bottled water. It is pet-friendly, so you won't need to worry about finding a pet sitter while you're out of town. It features a front desk that's open at all hours, so there is always someone on call to answer any questions that you have. The PARKROYAL On Pickering offers an assortment of transportation options, such as airport transfers, shuttle services, and taxi services. Chinatown MRT Station is 260 m away and Clarke Quay MRT Station is 330 m away. The nearest airports are Changi International Airport (SIN)-Singapore and Hang Nadim Airport (BTH)-Indonesia, which are located 17.9 km and 34.5 km away. The PARKROYAL On Pickering offers check-in from 03:00 PM and check-out until 12:00 PM. The property offers express and 24-hour check in and check out, allowing you to conveniently choose the service that best suits your needs. "Nice location, friendly staff, great architecture, comfortab..."
Please note that unaccompanied child check-in age should be minimum 21 years old. The Orchid Club room does not have a bathtub. unique design in the heart of chinatown. eco friendly! Dear Lindy, thank you for making PARKROYAL on Pickering your preferred choice of stay. We are pleased to hear that your stay was pleasant. We look forward to welcoming you back to our hotel-in-a-garden again in the not-too-distant future. The stay lived up to our high expectations! Excellent service from check in to out. Thank you for the free upgrade too! Beds were especially comfortable. Loved the quality and spread of their breakfast. Will definitely return! Dear Jeremy, thank you for sharing your positive experience with us. It’s always rewarding to hear from our happy guests and we hope to remain your hotel of choice during your next visit. Best regards. 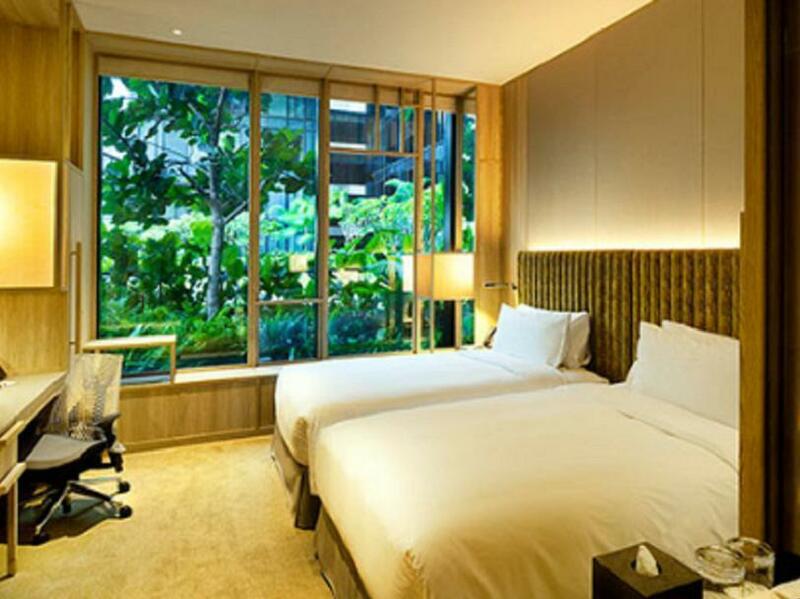 The hotel is uniquely designed (nature / eco-friendly theme) and overall the hotel looks very new / modern. My room on the 12th storey is spacious, has a good view and nice bathroom. The hotel is just next to Chinatown Point, a shopping mall where you can get food and to the MRT easily. Complimentary parking was given, if not, I would have to pay about $100 for overnight parking. I love the breakfast buffet spread! The hotel gave me a complimentary cake for my wedding anniversary. A little disappointed that the swimming pool is small and my bathtub's floor trap got stuck. Dear Kah, thank you for making PARKROYAL on Pickering your accommodation of choice. We're delighted to hear that you appreciated the convenient location and the architecture design of our hotel-in-a-garden. We are certainly looking forward to welcoming you back to our hotel-in-a-garden soon. Put up 2 requests to the reservation department which they promised to deliver but didn't. Only delivered 1 of the 2 requests. Abit of disappointment during check-in. Guess it is a miscommunication problem. Other than that, all was fine. Good. Dear Li, thank you for sharing your feedback with us. We have noted your comment regarding the standard and service quality. We appreciate your feedback and will objectively review standard and service quality. Once again, thank you for your invaluable feedback. We look forward to welcoming you back again. Nice space on 5th floor. They are flexible in giving check out time. Provide option of newspapers, TV channels. Anyhow at the reception, there is always a queue to communicate with staff. Please spare your time. The room is a bit small, comparing to other hotel we stay on the previous nights, with a similar charge. Dear Nartwanee, thank you for your wonderful comments. It is a pleasure to have you as our guest and we are pleased that you have enjoyed a memorable hotel experience. The team at PARKROYAL on Pickering looks forward to welcoming you again for another refreshing experience in the near future! I planned a surprise staycation for my partner. Was thoroughly impressed with the service provided by Pickering, particularly Gwen (whom I understand from my convos with her, leads the hotel’s dedicated guest relations desk) - who provided me thoughtful, efficient and professional assistance throughout the stay. Everything was a breeze, and I couldn’t ask for more. Would come back here in a heartbeat. Dear Wee, thank you for making PARKROYAL on Pickering your preferred choice of stay. We are pleased to hear that your stay was pleasant. We really appreciate you taking the times for sharing your positive experience and will definitely share it with our delicate team members. We look forward to welcoming you back to our hotel-in-a-garden again in the not-too-distant future. Incredible architecture. A huge building with an amazing amount of green space - taking a moment to read the eco-statistics of this hotel leaves you in awe. Good location, easy to get anywhere and an easy stroll into Chinatown. Dear Andrew, thank you for your review of our hotel. 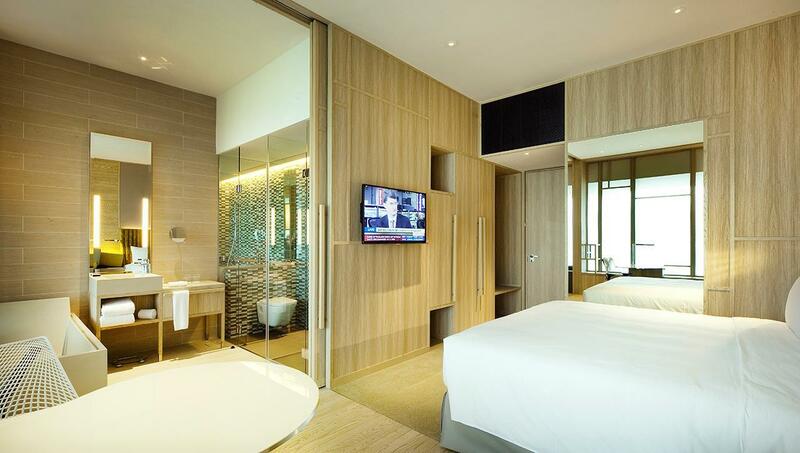 We're delighted to hear that you enjoyed the architecture, green features and the hotel's convenient location. The team at PARKROYAL on Pickering looks forward to welcoming you again for another refreshing experience in the near future! Bathroom will get messy because there is no door! High price when i booked it, so for me it was not worth it at all ( about 300+ sgd/usd ). SO SO hotel , location near china town. MRT right across, walking indoors to mrt right thru a mall. Dear Sterni, thank you for making PARKROYAL on Pickering your accommodation of choice during your recent visit. We regret to hear that you stay fell short of expectation but hope we get the chance to welcome you back for a more successful experience in the near future. Best regards. Wonderful choice. It is the second time I stay at this hotel. Not cheap, but it is worth the money. Nice location, friendly staff, great architecture, comfortable room. Breakfast was a little too crowded, and swimming pool a bit to exposed (to groups of people that went there just to have a look, take a picture and leave). Otherwise, perfect! Dear Joao, thank you for taking the time for sharing your feedback with us. It brings us great delight to know that you enjoyed our hotel’s central location, guestrooms and warm hospitality. Your compliments on our team looking after you are strong testaments of our hard work. Thank you for staying at PARKROYAL on Pickering and we look forward to welcoming you back to our hotel. Best regards. Dear Edwin, thank you for your great feedback. 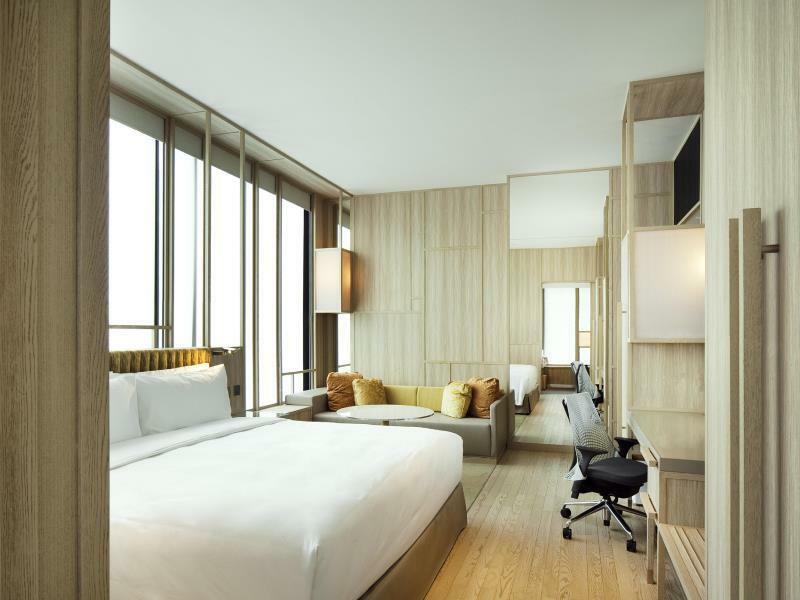 We’re delighted to read that you have thoroughly enjoyed the stay and hope to remain your hotel of choice the next time your travel plans bring you back to Singapore. Booked for a birthday celebration for my partner, and concierge staff fulfilled my request for sending a birthday cake to the room. Check in process was fast and pleasant. Although room was a little small, but it was clean, and everything was in working order. It's probably only 3 mins walk from Chinatown MRT. Very pleasant experience at Park Royal! Dear Jasmine, thank you for making PARKROYAL on Pickering your preferred choice of stay. We are pleased to hear that your stay was pleasant. We look forward to welcoming you back to our hotel-in-a-garden again in the not-too-distant future. Dear LAI, thank you for taking the time for sharing your feedback with us and we are looking forward to welcoming you back in the near future. Best regards. My husband and I didn't have a wonderful experience with the hotel due to a service lapse during our wedding banquet some years back. After sharing with the hotel our earlier experience before this stay, they were very nice to prepare a card, fruits and snack on the table in the room to welcome us back. This little, kind gesture really made us feel welcomed and warmed our hearts. Well done, Parkroyal at Pickering! Dear Vivian, thank you for the kind compliments. We are thrilled to hear that you enjoyed your stay with us, and loved the amenities specially prepared for you. Your compliments on our team looking after you are strong testaments of our hard work. Thank you for staying at PARKROYAL on Pickering and we look forward to welcoming you back to our hotel for another seamless experience. Well-designed hotel. Ambiance is very good, too. Looks like you're on ground floor coz of the plants outside your window. Window is huge which provides natural light into your room. They have night & day curtains for your selection. Ample size of room, but bathroom is a bit small, but still OK. Will stay the next time as I wasn't able to use the facilities. Food is excellent, too! Dear Anne, thank you for making PARKROYAL on Pickering your accommodation of choice. We're delighted to hear that you appreciated the architecture design of our hotel-in-a-garden. We are certainly looking forward to welcoming you back to our hotel-in-a-garden soon. Dear Chun, thank you for this glowing review. We are happy to have exceeded your expectations. It brings us great delight to know that you enjoyed our hotel’s central location, guestrooms and the service level provided by our team. We hope we get the opportunity to welcome you back to PARKROYAL on Pickering for another memorable hotel experience soon. Dear Jae, thank you for sharing your positive experience with us. It’s always rewarding to hear from our happy guests and we hope to remain your hotel of choice during your next visit. Best regards. We loved staying here. Would highly recommend. Dear Carmel, thanks for the glowing review. We are great to hear that you enjoyed your stay and thanks again for making PARKROYAL on Pickering your preferred choice of stay. Everything is good, but the pool is bit crowded. Dear Hock, thank you for taking the time for sharing your feedback with us. 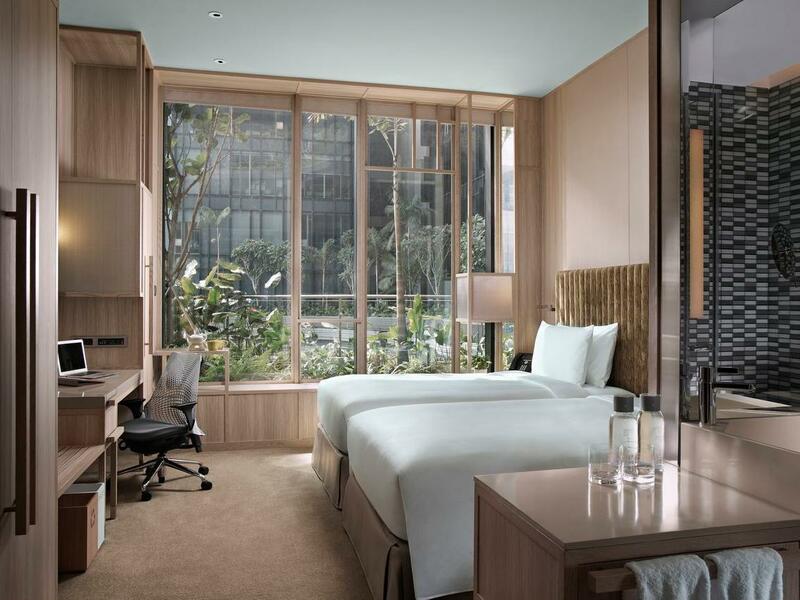 We hope to remain your hotel of choice the next time your travel plans bring you back to Singapore. The hotel is stunning to look at, and the service was never anything less than excellent. The location is very good - 2 minute walk to the nearest MRT, 10 minute walk to Clarke Quay and 20 minute walk to Marina Bay. Dear Daniel, thank you for making PARKROYAL on Pickering your accommodation of choice. We're delighted to hear that you appreciated the convenient location and the architecture design of our hotel-in-a-garden. We are certainly looking forward to welcoming you back to our hotel-in-a-garden soon. I would not hesitate on recommending PARKROYAL On Pickering to anyone. Usually it is quite expensive, but we went to Singapore at a low season in February. The rooms were on sale. We opted to include breakfast, and it was more than I expected. Breakfast buffet was top notch with lots of choices (western, local flare, or Chinese). The infinity pool was not huge but sufficient. The best part is that not many people use the pool, so it almost feel like a private pool for me. Location of the hotel is great. It is right beside the subway station. The mall beside the hotel has a supermarket that opens late and a food court. If you like local flares, you can also find a local food hall/market next to the hotel. Chinatown is also within 5-10 min. walking distance. All that said, I would come back to this hotel anytime.